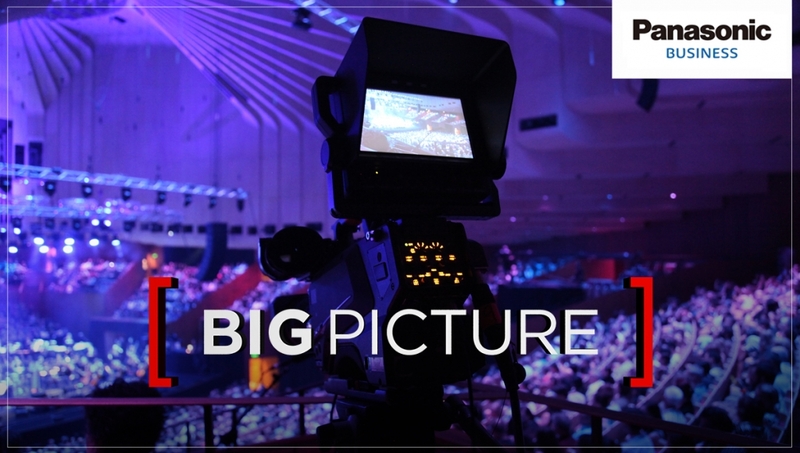 Leading Australia and New Zealand video production company Big Picture – whose concert and event tours have included the likes of Coldplay, Bruce Springsteen, Justin Bieber, Rihanna, the Dalai Lama and many more – have chosen Panasonic cameras to fit out and upgrade their new 1080p flyaway kits and OB (Outside Broadcast) truck. Their brand new Panasonic camera suite includes ten AK-HC5000 4X high speed 1080p camera systems as well as two AJ-PX5000G high-end ENG camera recorders – all chosen to meet the demands of Big Picture’s booming production business. Big Picture brought in a range of cameras to test before selecting the Panasonic solution, with the Panasonic cameras performing very well in terms of flexibility, quality and ergonomics; as well as being head and shoulders above the rest when it came to support. The image quality of the cameras impressed during Big Picture’s own in-house chroma testing, and Nick said that the cameras passed their first real-life test with flying colours, when all ten AK-HC5000s were used together at the 2CELLOS shoot. “The 2CELLOS DVD record went really well. Everyone was super impressed with how the cameras look – the sharpness and colour depth they have and their general performance in a primarily theatrical lighting environment. From an engineering point of view the cameras were easy to balance and grade.